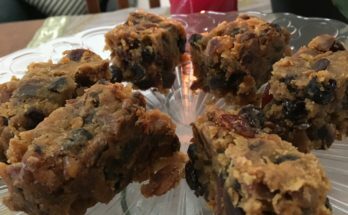 An Awesome Christmas Dessert With A Difference ? ? 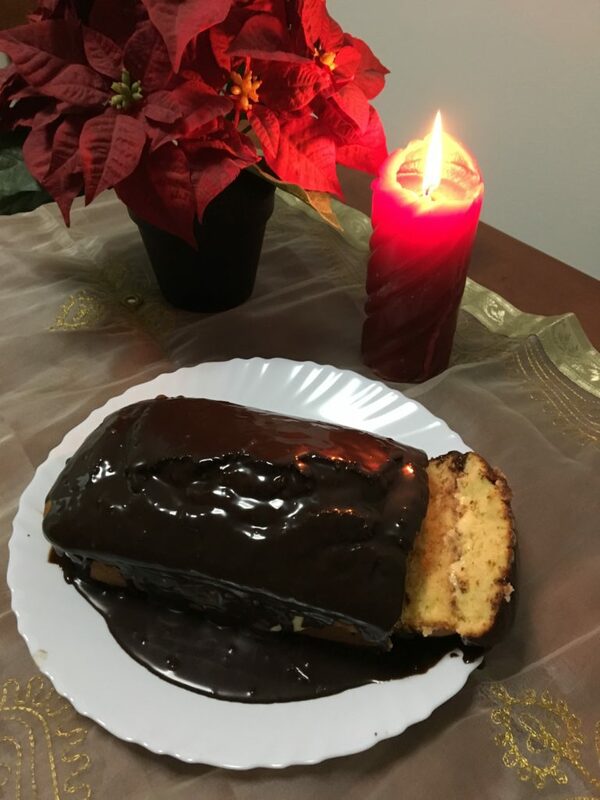 I made this wonderful dessert cake on New Year’s Eve of 2016? and here I am, this time around on Christmas Eve of 2017!? 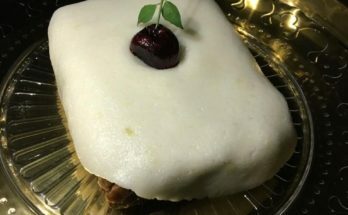 This cake consists of three components. 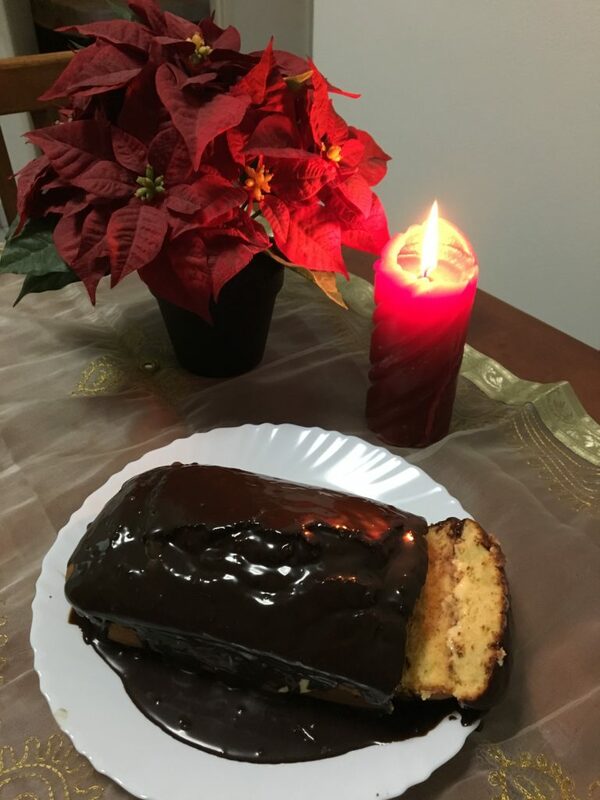 I have also reduced or increased the ingredients and altered the method where necessary as pastry cream and chocolate ganage can vary in consistency during the Summer and when made in the Tropics. 1.Pre-heat the oven to 350 degrees F or 180 degrees C. (In certain ovens the temperature would be 230 degrees C). 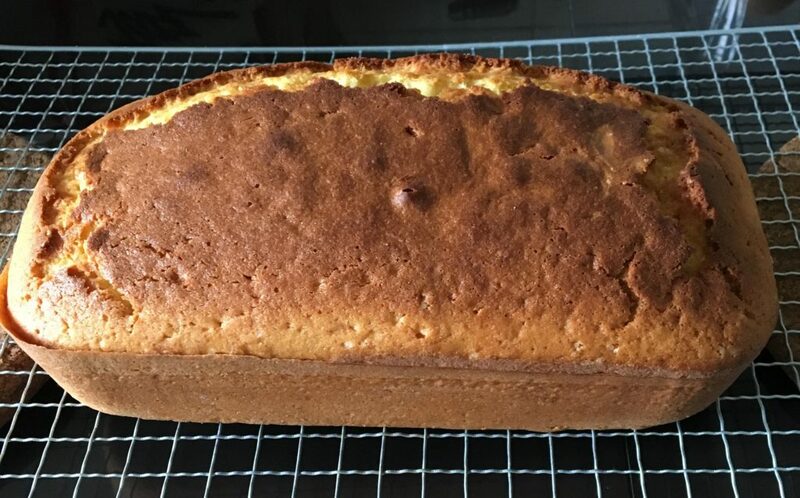 Butter and flour 9x5x3” loaf pan (8 cup volume pan) or just butter the pan and line the bottom with parchment paper leaving the paper over hang on either sides so can easily lift cake. 2.In a small sauce pan over a low heat combine milk and butter, bring to a boil, set aside. 3.Whisk together flour, baking powder and salt, set aside. 4.In a separate bowl beat the eggs, sugar on high speed until lighter in colour and thick (4-5 mnts). Using a rubber spatula, gradually stir in dry ingredients, stir until combined. 5.Turn on your mixer on low speed and pour hot milk into batter. Mix until evenly combined and smooth. Mix in vanilla. 6.Spread the batter in loaf pan, smooth the top and place in pre-heated oven. After 20 mnts rotate the pan and tent the pan with aluminum foil if browning too much. Bake until golden brown and toothpick inserted in the centre comes out clean (35-45 mnts). Baking time might vary depending on the oven and baking dish you use. If you use a ceramic dish it might be done by 38 mnts. I used a tin pan and it was done in 40 mnts. Don’t dry the cake too much. 7.Let the cake cool 10 mnts in the pan and transfer it to a rack to cool completely. 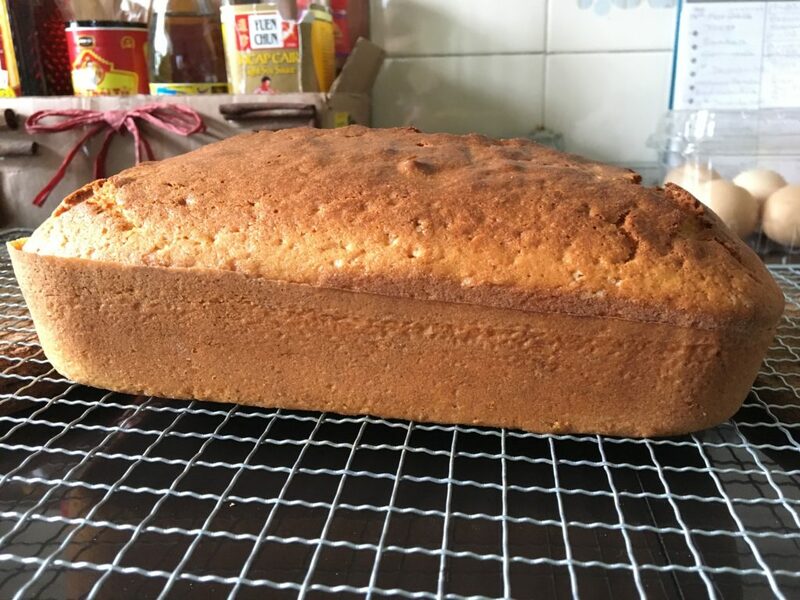 Use a serrated knife to split cool cake horizontally. Place bottom half on a serving plate, spread pastry cream to within 1/2” of edge then gently place top half of cake. 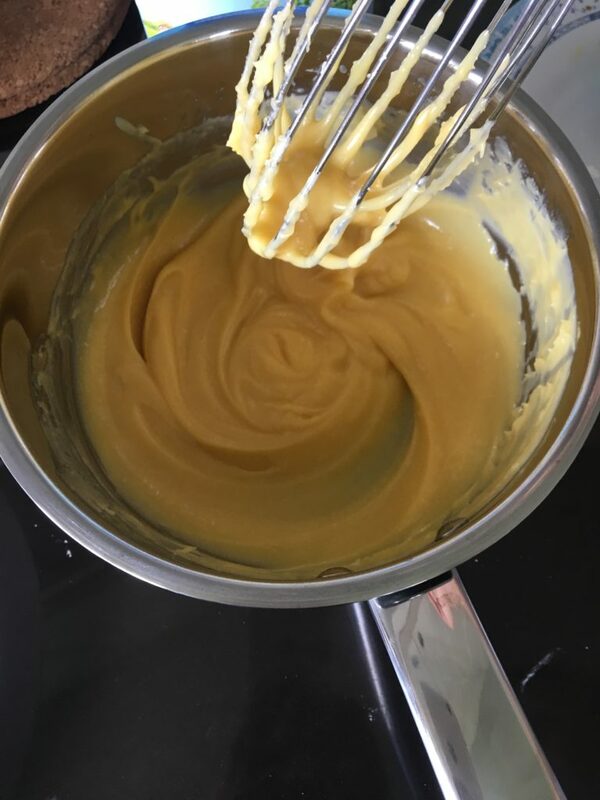 1.Whisk together egg yolks sugar and salt. Add corn starch and mix until the mixture is pale yellow and thick. 2.In a medium saucepan place 1 1/3 cups (or 1cup), heavy cream, add egg mixture and stir until combined. Whisking constantly cook over medium heat until it gets thick pudding consistency. 3.Remove from heat add butter and vanilla and stir until the butter is melted. 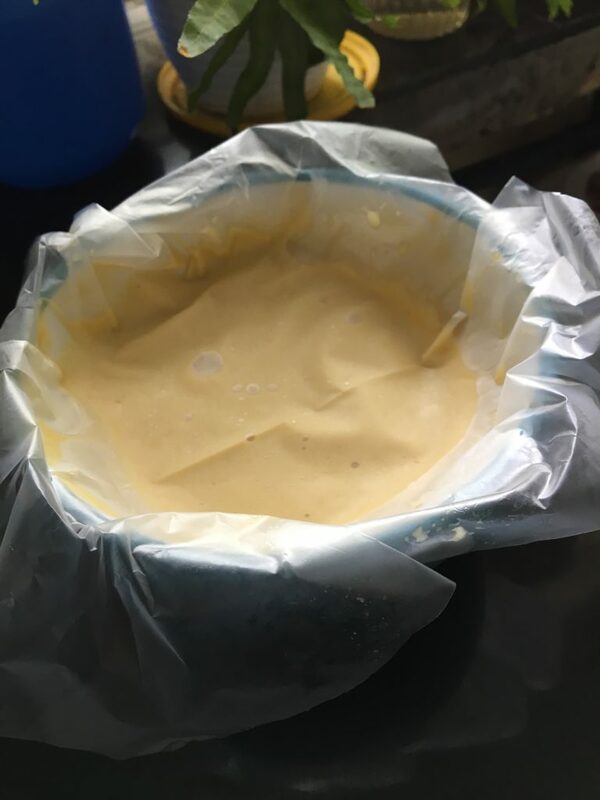 Transfer to bowl cover with plastic wrap pressed on the top of the pastry cream so a film does not form. 4.Refrigerate at least 2 hours to set. 1. Chop the chocolate in to bits. 2. Place then in a glass bowl or dish. 3. Bring heavy cream to a simmer on the stove top, stirring occasionally. As soon as you see a simmer, remove from heat and pour over chocolate bits, swirling the bowl to make sure all bits are covered. 4. Place lid on the chocolate bits to trap the heat and let sit undisturbed (no mixing) for 5 minutes. Remove lid and swirl the chocolate bits with a whisk starting in the center and working outward until smooth. It will turn into velvety ganache right before your eyes and you will get excited?? 5. 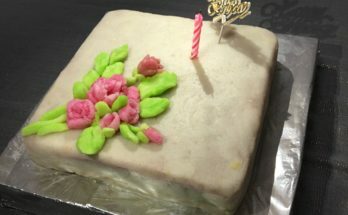 Once it’s velvety, let it sit uncovered at room temperature (70 degrees F), for about 15 minutes before pouring over the cake?? 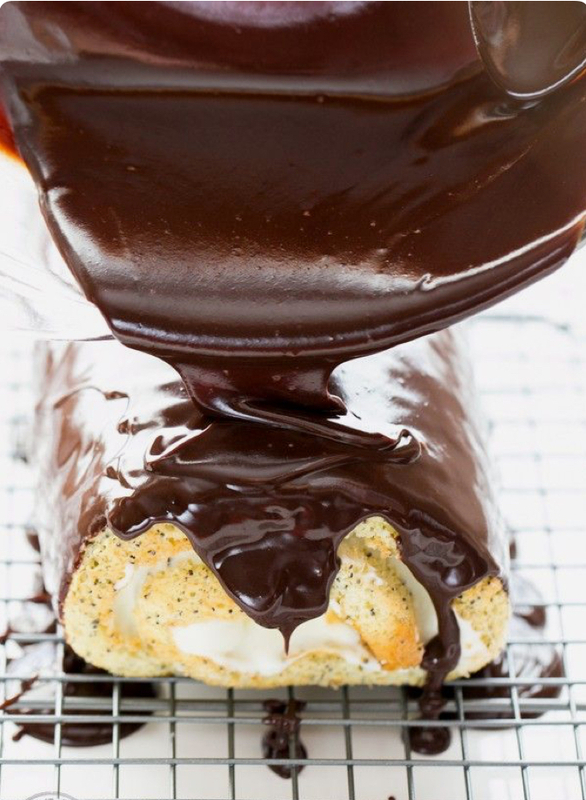 It was perfect for glazing the entire surface of a cake roll after 15 minutes. (It should coat a spoon? nicely when ready for cake coverage – set your timer!). Keep in mind, the longer ganache sits, the thicker and more of a frosting it becomes. Then you will want to spread it on top of cupcakes and cookies? It stays great at room temperature for a couple of days. 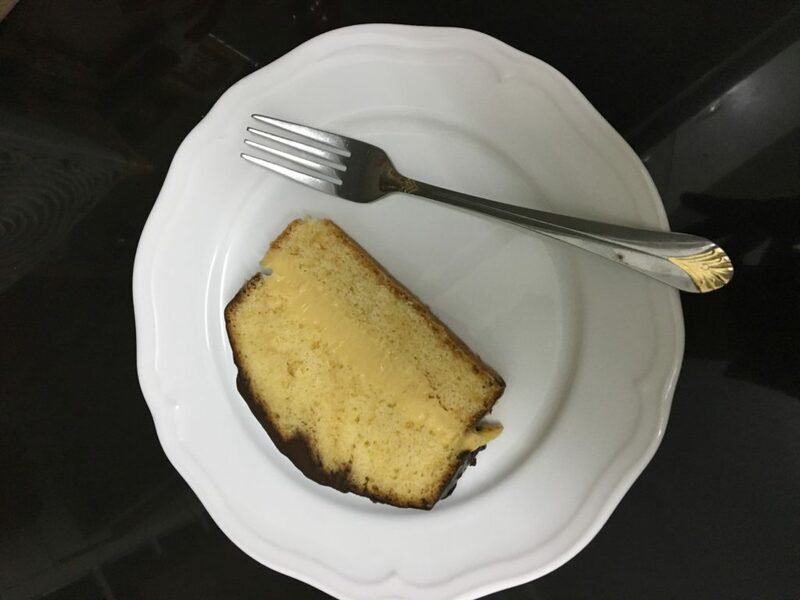 I placed it in the fridge for a few minutes and covered the top of the cake over once more, smoothening with a metal spatula. Pour your ganache evenly over the top of your cake until desired coverage is reached. You can lift up the wire rack and re-use the chocolate ganache that drips onto the platter. 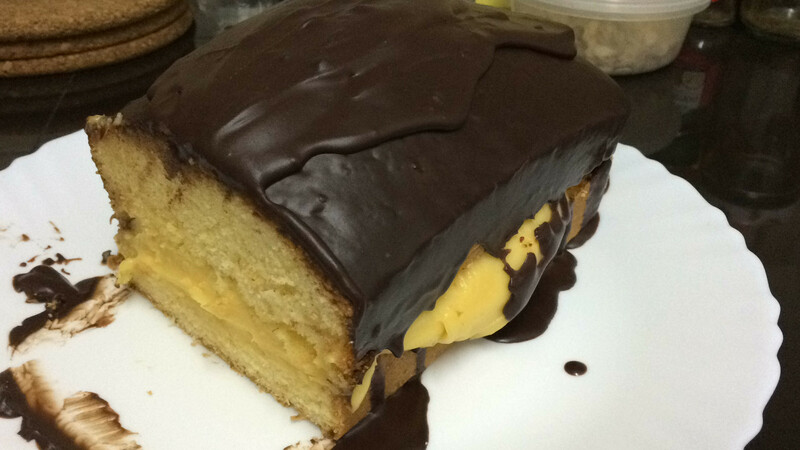 This is nothing but a delicious giant eclair with the pastry being replaced by cake ?.